Do you still have zucchini overflowing your kitchen and garden? Or, does it just jump into your hands at the farmers market, like it did to me this week? I've had a deep love for summer squash since I was a kid and I just can't get enough of it. Of course, growing up we ate it fried (which is divine), or in Zucchini Bread (which is heavenly), but I've been trying to come up with more options, such as the Stuffed Zucchini, that I made earlier this week. Last night I decided to make quesadillas, since dinner was just going to be for Son Number 2, and myself. My fridge is overflowing right now with veggies, so I decided to add them to the quesadillas, which turned out to be a great idea as they were so full of flavor! Quesadillas are easy to make. 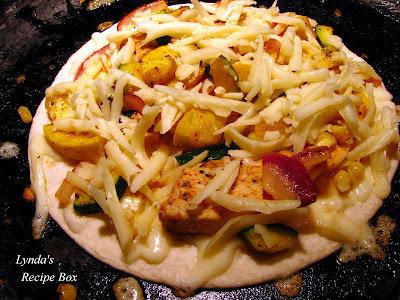 Just lay a tortilla on a hot pan or griddle and top with cheese and the chicken and the veggies. Let cook until the cheese is all melty and gooey like, and then top with more cheese and another tortilla. Hold your hand against the top tortilla and gently flip the whole quesadilla over with a large spatula, to brown on the other side. Carefully now, stuff can fall out! As soon as it's done, take a pizza cutter and cut into fourths and then repeat with the rest of the ingredients. 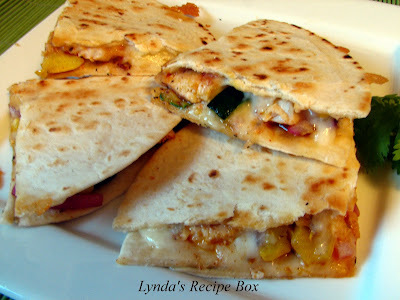 The sauteed vegetables really made these quesadillas! I made 5 total, so my husband and I had leftovers for lunch today and they were still good warmed up. We loved the addition of the squash and corn, so this will be a regular at our house now! I'll tell you how I made them. Lay the chicken strips in a glass pan and mix the juice of the lime with 1 T. olive oil and sprinkle over the chicken. In a medium hot skillet, add 1 T. oil and the corn kernels, the diced zucchini and yellow squash, onion and bell pepper, if using. 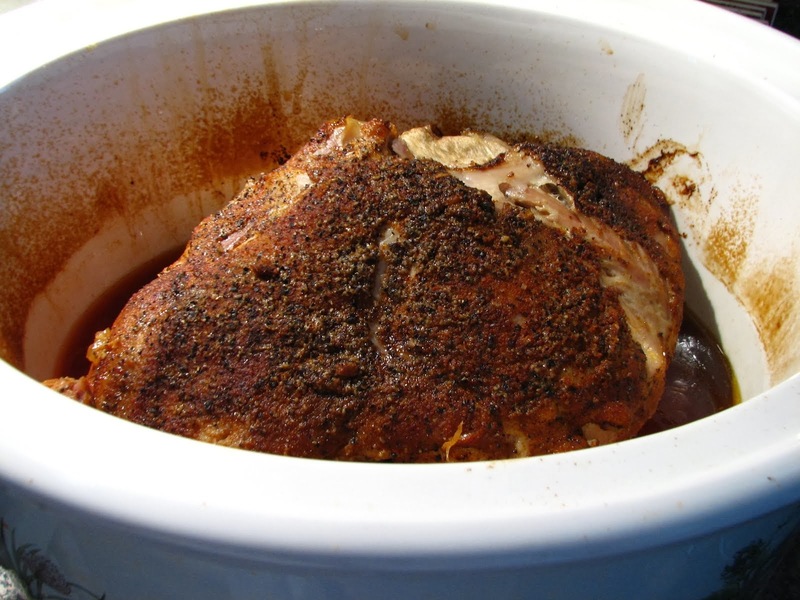 Season with salt, ground cumin, pepper and a little chili powder, if desired. Saute for 2-3 minutes, just to soften, but leave them crisp tender. Remove veggies to a paper towel lined plate. In the same skillet, add the cut up chicken and season with the same spices used on the veggies. Sorry that I didn't measure, I just always eyeball it. When chicken is white around the edges, turn over and cook until done. It only takes a couple minutes total for the chicken if you slice it fairly thin. Heat another skillet or griddle to medium high heat. 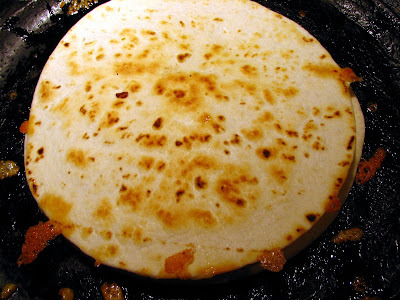 If desired, spray one side of a tortilla with Pam and lay it on the griddle. Sprinkle with cheese. Add a few slices of chicken and some veggies. When cheese melts, add more cheese on top, then another tortilla, and carefully turn it over to brown on the other side. Cut in fourths to eat. Enjoy! There are short cuts for these quesadillas of course. You can use leftover chicken, either baked or grilled. The same goes for the veggies. Use those leftover grilled vegetables! In fact, the veggies were so good in this, that you could leave out the chicken and they'd still taste great! I love your addition of corn and squash in these yummy quesadillas! Oh my stars, this looks so good! For the life of me I can't get the hang of flipping over the tortilla without making a HUGE mess, LOL. This looks so good that I am going to try again. Hugs. You are an inspiration! I never thought of using corn and squash in a quesadilla. Love the idea! Very good use of zucchini! One year, my parents had a bumper crop of eggplant. Yup, had to come up with some creative ways to cook eggplant. It looks so tasty Lynda...now I am craving Mexican for breakfast. This is the time of year when I add zucchini to everything! Love the idea of adding it to the quesadillas! How grand! Yum! Such an excellent use of zucchini! Now that looks good! Even the kids would like this! This looks very, very good, Lynda. 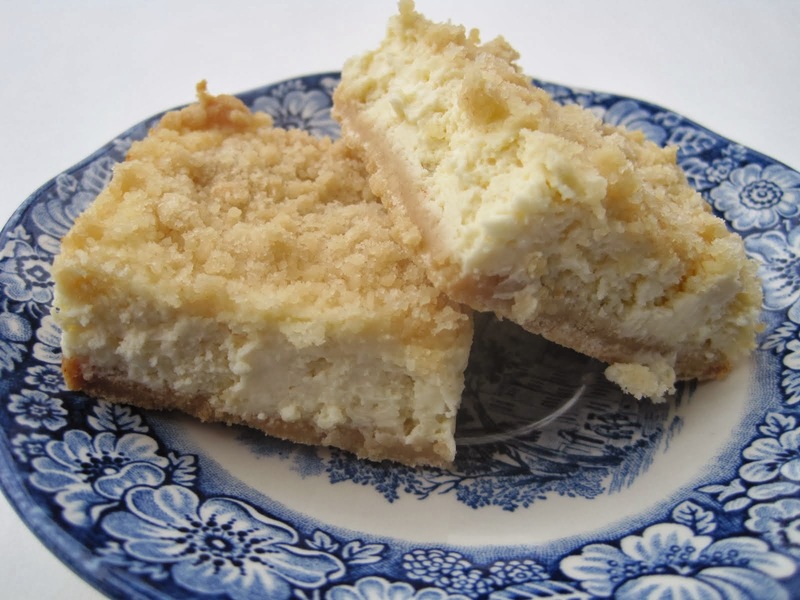 I have the ingredients I need to make these. I think you've solved my dinner dilemma. great use for those zukes, lynda! i love how thick and chock-full your quesadillas are--nicely done. Great way to add more veggies to our diet! I love all the ingredients!!! Great quesadilla recipe. Now that's a fantastic quesadilla recipe! What a wonderful way to enjoy summer veggies. It is lunchtime and that is making my mouth water! Oh Yum! 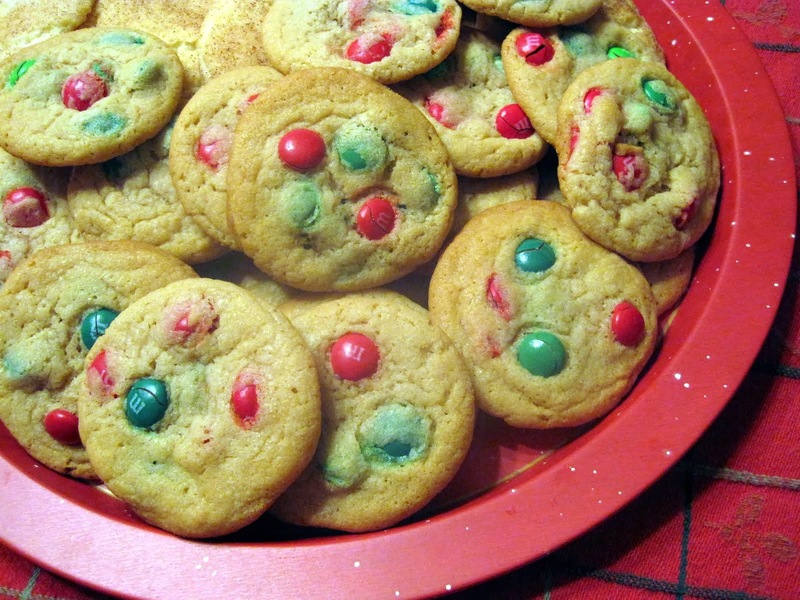 I am totally making these! What a great way to use zuchinni! These look great!! I had mouth water just to see those pics! 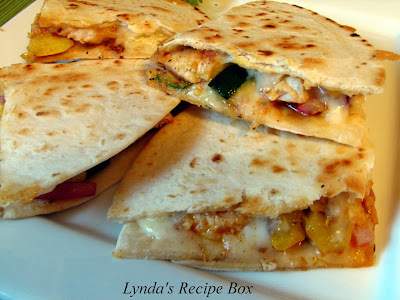 wow Lynda, this chicken quesadillas makes me really hungry!